The Nanticoke region is deeply tied to its historical roots. We are reminded of the history of the area constantly – from the many museums and restored historical buildings that pepper the watershed, to the towns, creeks, and roads that bear the names of many Native American tribes that were once predominant throughout the area. It is impossible to visit the Nanticoke River without feeling connected to the history that surrounds you here. If you want to explore the area’s rich history, here are a few sites to get you started. Please note – only one town in Caroline County lies within the Nanticoke Watershed. However, additional nearby sites have been included here for your convenience. Civil War Trail – Civil War history is laced with stories of conflict, intrigue, heroes, and spies. Caroline County boasts six sites on the Maryland Civil War Trail, including: Greensboro, where pro-Union residents sought help from President Lincoln against alleged Rebel arsonists; Denton Wharf, where arrested Southern sympathizers departed by steamboat for imprisonment at Fort McHenry; Caroline County Courthouse, where Unionists rigged the vote that emancipated Maryland slaves in 1864; and the Nanticoke River near Federalsburg, a “smuggler’s paradise” early in the War. – Charles H. Dickinson was born on the adjacent farm into a family which achieved national prominence through John Dickinson, “Penman of the Revolution.” A State Historic Marker identifies the site. – Following the arrival of the Pennsylvania Railroad in 1868, goods from area mills and tanyards were transported from Federalsburg by rail to larger markets in New York and Philadelphia. The Railroad Station dates to c. 1870. Federalsburg Transportation & Heritage Museum – The Federalsburg Area Heritage Museum is housed in the historic Covey and Williams garage building. The restored structure features unique artifacts and exhibits of local heritage. Harriett Tubman Underground Railroad Byway – A driving tour highlighting sites that tell the story of the Underground Railroad and “conductor” Harriet Tubman, who was born here and led many out of slavery to freedom in the mid-1800s. In Caroline County, some popular stops along the tour include Poplar Neck near Preston where Harriet Tubman made her greatest rescues; the Jacob Leverton Dwelling, (privately owned), the only documented Underground Railroad station building remaining on the Eastern Shore of Maryland; and the Courthouse Square in Denton, the site of numerous incidents and the jail that held captured freedom seekers and Underground Railroad agents. – One of the last water-powered mills on the Eastern Shore, it ceased operating in 1979 when the mill pond dam broke after heavy rains. The structure has been described as a “treasure of America” because its original equipment reflects the long evolution of American milling. Of special interest is the Fitz water- wheel on the south (rear) side of the mill, and the Miller’s dwelling across the road. The Museum of Rural Life tells the stories of early Americans living in Caroline County’s agriculture-based economy. The museum exhibits includes the Taylor-Brown Dwelling, the Painter’s Range log cabin, and portions of the Chance’s Desire and Skillington’s Right properties. – Preston was founded in 1846 around Frazier’s Chapel, an early Methodist Church. First called Snow Hill, the name was changed to Preston by an act of legislature in 1856, in honor of a prominent Baltimore lawyer. For more information about Historical Sites of Interest, please visit the Tour Caroline County website. Bucktown Village Store – The Bucktown Village Store is the historic site where Harriet Tubman braved her first act of public defiance. The store is now part of the Bucktown Village Foundation, and is open six days a week, Monday-Saturday, 9am-4pm. Handsell National Register Historic Site – The historic plantation house known as Handsell is located north of Vienna, Maryland on Indiantown Road. The Handsell house is built on the site of the Chicone Native American village. Managed by the Nanticoke Historic Preservation Alliance. – The Harriet Tubman Memorial Garden, located on Route 50 near the intersection of Washington Street in Cambridge, features interpretive signs and a mural to pay tribute to her and those who traveled to freedom from slavery on the Underground Railroad. Harriet Tubman Museum and Educational Center – Underground Railroad ‘conductor’ Harriet Tubman was born in Dorchester County. At this small museum in downtown Cambridge, learn about the strength, courage, and determination of this remarkable woman. 2013 marks 100 years since Harriet’s passing. Harriet Tubman Underground Railroad Byway – A driving tour highlighting sites that tell the story of the Underground Railroad and “conductor” Harriet Tubman, who was born here and led many out of slavery to freedom in the mid-1800s. The Tubman Centennial will be celebrated throughout 2013. Old Trinity Church – Old Trinity Church is a tiny gem of 17th century architecture located on a tranquil Chesapeake waterway six miles south of Cambridge. Spocott Windmill – ‘Spocott’ today has the only existing post windmill for grinding grain in Maryland. Also on the property are a colonial tenant farmhouse and a one-room schoolhouse. – This 19th century one-room African American schoolhouse was moved to this location in 1867. It is one of the oldest Maryland schools to be organized and maintained by a black community. 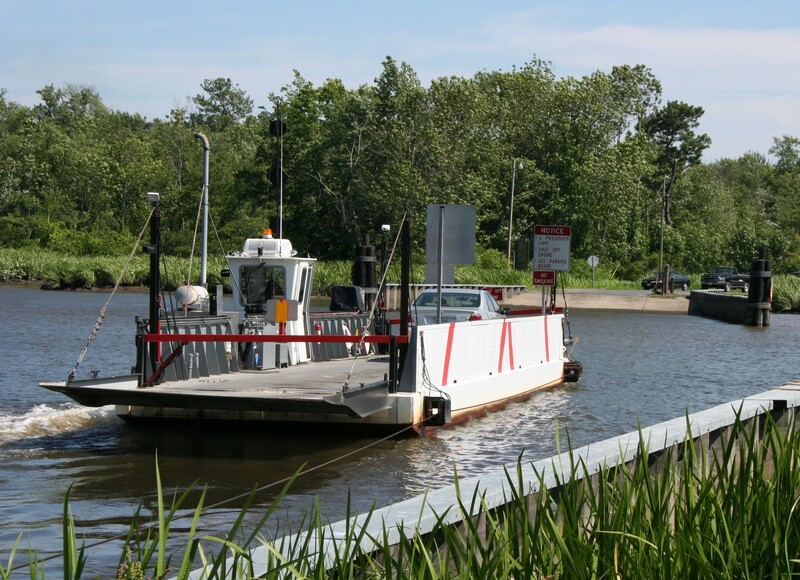 Taylor’s Island – Taylor’s Island is located on Route 16 West in the southern part of the County. Unique homes, schoolhouses, and three churches are points of interest. The Becky Phipps Cannon is displayed on the island, telling of its capture from a British ship off Taylor’s Island during the War of 1812. Many sites on the island are listed on the National Historic Register. Vienna Heritage Museum – This museum is dedicated to the rural life and industries located in and near Vienna. It is home to the last operational mother of pearl button factory machinery in the United States and also displays personal family heirlooms. – Dorchester County offers three walking tours of historic towns: Cambridge, East New Market and Vienna. Home to seven Governors, Dorchester is one of the oldest counties in the State of Maryland. For more information on planning your visit to Dorchester County, including additional historical sites located throughout the County, please visit the Tour Dorchester County website. 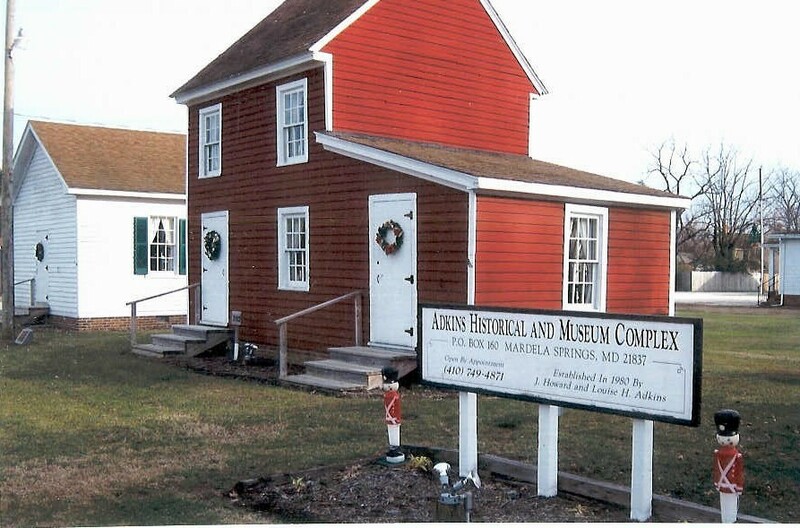 Adkins Historical Complex & Museum – The Adkins Historical and Museum Complex, Inc. was created and developed in 1980 by J. Howard and Louise Adkins. Their dedication to “preserving the past” allow us to turn back time more than a century and get a glimpse into life in the village of Barren Creek Springs. Ten historical buildings and a privy are open for free tours by appointment. Barren Creek Heritage Center and Museum – Run by the Westside Historical Society, the Barren Creek Heritage Museum offers tours by appointment only during the week, and is open on Sundays from April through October, from 1-4pm. Barren Creek Presbyterian Church – Built in 1862, the Barren Creek Presbyterian Church was the first church built in the town of Barren Creek, now Mardela Springs. The church is also the location of an original Mason-Dixon Marker, which was donated to the Church in 2005. The building was donated to the Westside Historical Society in 1988, at which time they undertook a restoration project to return the Church to a close approximation of its original appearance. 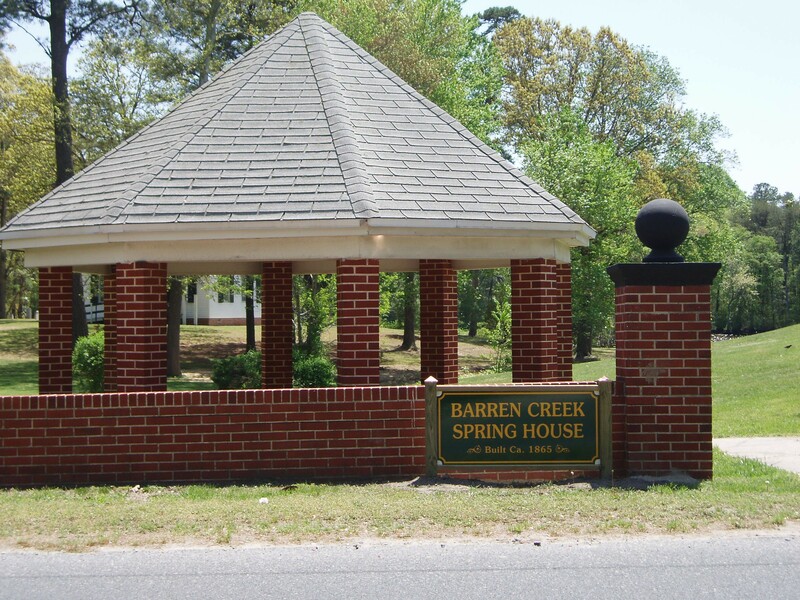 Barren Creek Spring House – The Spring House was a popular destination for tourists from the 1800s until the mid 1900s, as visitors flocked to the region to drink the town’s spring water and wade in it. The site is now managed by the Westside Historical Society. Double Mills Grist Mill – This historical site is now owned by Double Mills, Inc., a group of local residents intent on restoring this last surviving water-powered, turbine driven mill. The first mill on the site, on the North bank of Barren Creek, was built in the 1700’s. Through various stages of restoration, improvement, and additions, it operated continuously until a major storm in 1979 tore out the dam and much of the race way. Today, efforts are underway to restore it to an educational heritage site, recalling the importance of milling as the first industry in the area. The mill and general store, a part of the site from the late 1800’s, are open to visitors by contacting Double Mills, Inc.
Edward H. Nabb Research Center of Delmarva History & Culture – The Nabb Research Center collects and preserves archival material, artifacts, books – including family history, maps, and microfilm pertaining to the Delmarva Peninsula. Delmarva includes the Eastern Shore of Delaware, Maryland and Virginia and was a gateway from the Chesapeake Bay region in the earliest days to the bounty and promise of America. Pemberton Historical Park – This unique 262-acre historic park offers more than 5 miles of nature hiking trails. If you are visiting on a Sunday, be sure to tour Pemberton Hall, built in 1741, to view the exhibits and witness a historical interpretation. The Pemberton Hall Foundation also hosts special events at the Hall throughout the year, so be sure to visit their website for more information. Poplar Hill Mansion – This beautiful Federal period manor house was built circa 1800 and is Salisbury’s oldest home. Now operated as a museum, the home was originally built by Major Levin Handy on a part of the tract called Pemberton’s Good Will. The two-story, five-bay frame house is a richly decorated dwelling, retaining a high percentage of its original woodwork. The interior spaces have recently been restored to its original color scheme and furnished true to its period. The Cook House Museum – The Cook House contains the offices of the Laurel Historical Society, as well as a large number of photos and artifacts that help to tell the story of Laurel, Delaware, and the residents who call it home. The Laurel Heritage Museum – The Laurel Heritage Museum features an extensive collection of historical documents and objects displayed in the restored Laurel Train Station. The key element of the museum is the one-of-a-kind Waller Photographic Collection, which has been recognized as a premier historical collection by the Delaware Public Archives and the University of Delaware. -A “new” chapter in Delaware history was written in 2007 when scientific studies of charts made by Captain John Smith revealed that he had reached Delaware while exploring the Chesapeake Bay and its tributaries. The wooded areas and walking trails of the surrounding Phillips Landing Recreation Area allow visitors to experience a taste of the isolated natural beauty that Smith encountered. Old Christ Church – Constructed in 1772, this historic place of worship is one of the few remaining unaltered wooden structures of its age and type in the United States. Located beside Chipman’s Pond approximately two miles east of Laurel, its paneled walls, barrel vaulted ceiling, and wood box pews are evocative of pre-Revolutionary days when meeting places such as this were the community centers of rural colonial America. Ross Mansion & Plantation – The Governor Ross Plantation is the only site in Delaware that describes plantation life around the Civil War period. Learn about the life of a governor, slavery in Sussex County, and enjoy expansive grounds with auxiliary buildings that were necessary for the operation of a large plantation. Seaford Museum – The Seaford Museum is a proud member of the Chesapeake Gateways and Watertrails Network in partnership with the National Park Service. Visiting the Seaford Museum will provide you with a delightful, unique experience journeying into the history and culture of the Nanticoke River headwaters. Featuring all fiber optic lighting and a new maritime gallery (opening the summer of 2014), this museum tells the story of the oyster shucking, shad fishing, steamboat, canning, and ship building industries at the turn of the century. The earliest historical sites in the region are mostly farm houses and related outbuildings, then small villages with schools and churches, usually located at important landings or fords along the river. Remnants of bog-iron production and shipbuilding exist as well.